Hollywood in the 1930’s, 40’s and 50’s certainly knew how to make musicals. The 1951 MGM musical, An American in Paris, was nominated for 8 Oscars and won 6. The music and lyrics were by George and Ira Gershwin, Vincente Minnelli directed, Gene Kelly, Leslie Caron and Oscar Levant played the leading roles. 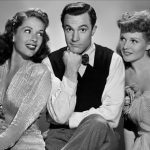 Gene Kelly was also the choreographer. The high spot was an 18-minute ballet in the style of French artists, notably Toulouse-Lautrec and the Impressionists. The choreography was a mixture of classical, modern and tap dancing. 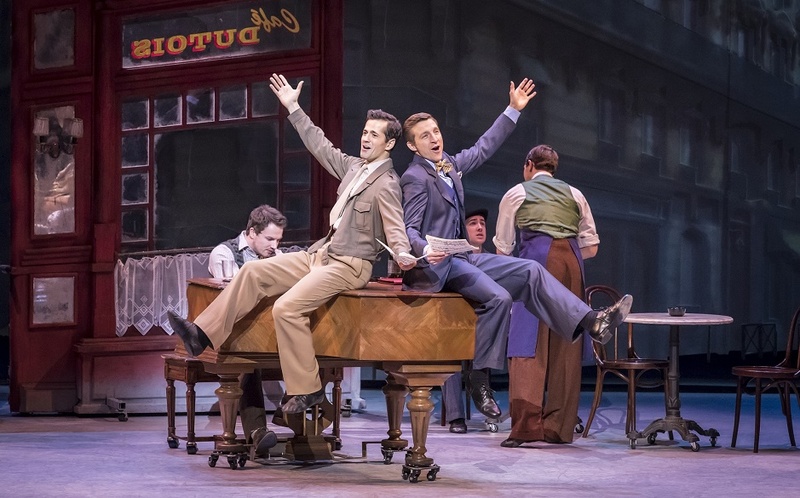 The stage musical, which originally premiered in Paris in 2014, arrives in London having won 4 Tony Awards in New York. It is not a recreation of the movie. Choreographer Christopher Wheeldon, who has never before directed a Broadway musical, directs and choreographs with skill. His inventive abstract version of the 18-minute ballet is nothing like the one he did in 2005. 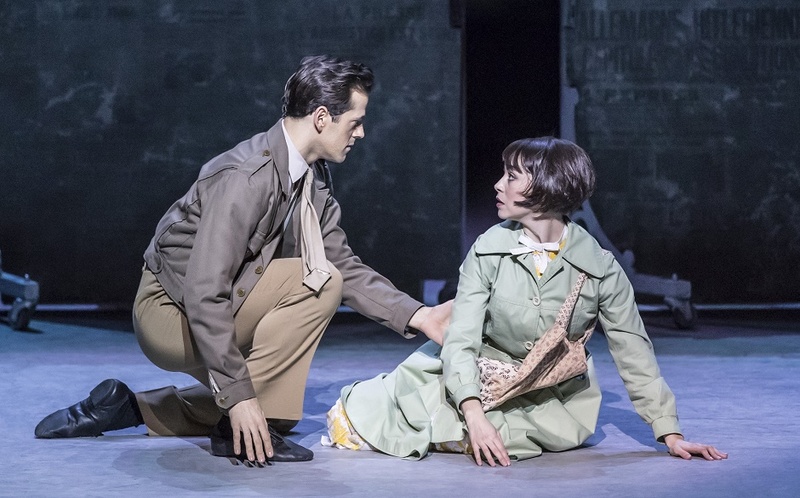 The stage musical is dance-led and the American award-winning stars, Robert Fairchild and Leanne Cope, who created the roles on Broadway, are primarily classical dancers, he with New York Ballet, and she with Royal Ballet. 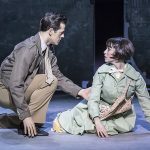 Fairchild plays an American war veteran who stays o n in liberated Paris and falls in love with a sad young Parisian girl, who has ambitions to be a ballet dancer. Fairchild has star quality: he can dance, act and sing; and he has bags of charm and an easy sexual grace. He and Cope make a nice couple. Craig Lucas tries to give the trite story a bit more interesting by setting it in the immediate aftermath of the Second World War and giving the GI two rivals. The score is full of well-known classics, including I’ve Got Rhythm, ‘S Wonderful, and rarities, such as Fidgety Fee. 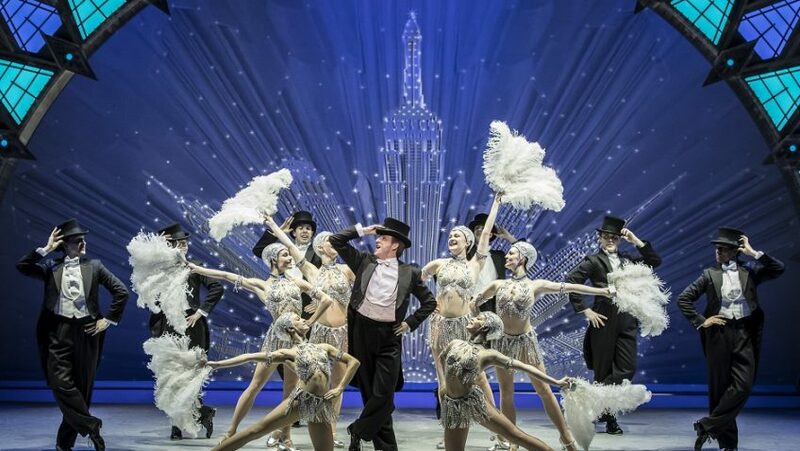 A high spot is the big show biz number, I’ll Build a Stairway to Paradise, with the chorus boys in top hat, tails and canes and the chorus girls with ostrich feathers. A major part of the show’s success is designer Bob Crowley’s marvellous sets, constantly on the move, and his Mondrian backdrop and costumes. The cyclorama and the moving frames are filled with gorgeous colour and geometric shapes. Crowley’s amazing palette makes him a major contender for best designer of the year.